Behold one of the strongest commons in Magic: The Gathering. Ethereal Armor just rocks on so many levels. It honestly should not have been a common. When used in an appropriate deck (cough* Hexproof), Ethereal Armor pays for itself and then some. Flavor Text: Metal is scarce, smiths are pricey, and plate mail is heavy. In Magic: The Gathering, my absolute favorite Planeswalker is Kiora, the Crashing Wave. The moment I came across this card spoiled all the way back when the Born of the Gods set was revealed, I just knew deep down I wanted a Kiora card badly. It took earning second place at a win-a-box tournament at a local card store, splitting the booster box prize in half and then, with sheer luck, I fortunately came across a copy of this card in one of my pulls. Just plain awesome. Kiora, by the way, is an excellent card in her own right as well. 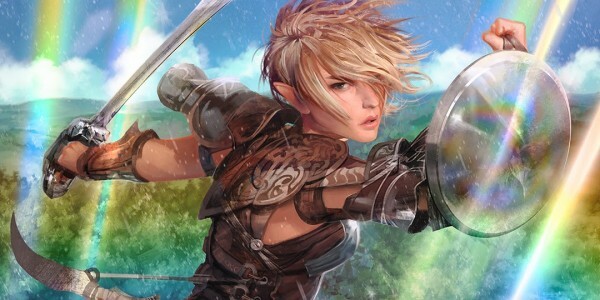 All three of her abilities are respectively powerful and useful in various in-game situations. Let’s just say I have won multiple games when I can unleash the kraken(s) with her extremely overwhelming ultimate ability. So I went to some prereleases for Born of the Gods, a new set of cards for Magic: The Gathering. And of course, this was a chance to get my hands on some goodies in the set. With green being my color of choice, getting ahold of Nessian Wilds Ravager was guaranteed at my prereleases. Nessian Wilds Ravager is one of many cards that introduce a new mechanic called tribute. 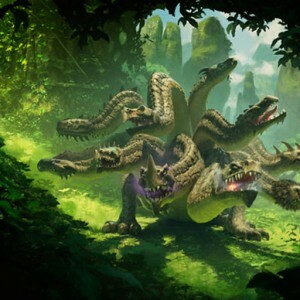 Basically, tribute puts your opponent in a tough situation by forcing them to decide if they want to deal with a larger creature or something bad is going to happen. Finding “counters” in Magic: The Gathering is crucial for making a good mainboard and sideboard for your deck. And oftentimes, even a simple card does wonders. Plummet is one of my favorite sideboard cards when I need to adjust for specific matchups. My green deck has an inherent weakness against creatures that fly, but throwing in a few Plummet cards for the second/third match can drastically alter the final outcome. Card Text: Destroy target creature with flying. For two mana, Plummet brings down just about anything in the air. In particular, some prime choices for Plummet targets in the Standard scene are things like Desecration Demon and Nightveil Specter. Scary threats in Magic often take to the skies, so Plummet makes sure they are sent crashing back down to earth. 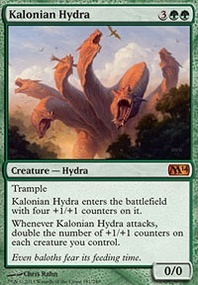 I love my “Ghetto Green” cards in Magic: The Gathering. Miming Slime is one of my sneaky cards I like to pull on people because NO ONE will expect it in a regular tournament. 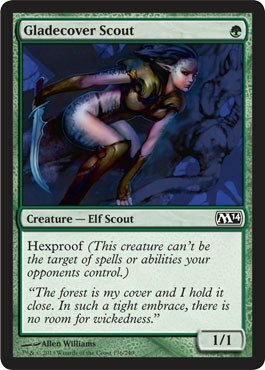 Card Text: Put an X/X green Ooze creature token onto the battlefield, where X is the greatest power among creatures you control. Basically, you cast this card, you check the strongest power among the creatures you have out in play and then you make an X/X Ooze creature token with the same power. For example, if you have a 5/7 creature out in play, you would get a 5/5 Ooze creature token after you cast this card. Nothing too complicated, but a lot of people would never put this in their deck. For me, though, I use Miming Slime for its potential. As a three-mana spell, it won’t break the bank when I am running low on mana. When I really get this card to work, then the amount of value I can squeak out can be quite absurd in my Green deck. In some extreme cases, I can make Miming Slime spawn a pretty strong token. One time, I managed to make a 19/19 (a really weird number, I know) after my Kalonian Hydra attacked a few times and got pumped up from other sources. Let’s just say a 19/19 token is hard to deal with for most players. Miming Slime is awesome. Ghetto Green FTW!